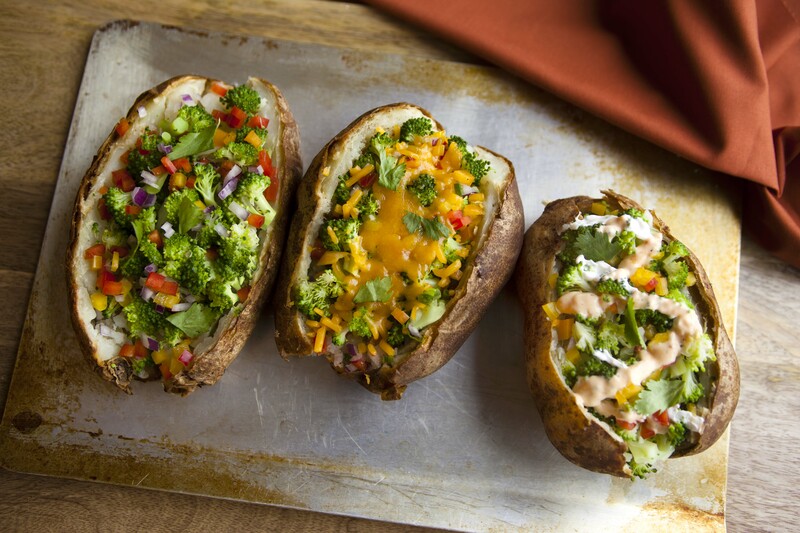 Get Baked, Get Smashed, and Get Fried are a few of Potatopia’s key taglines… and I love it! 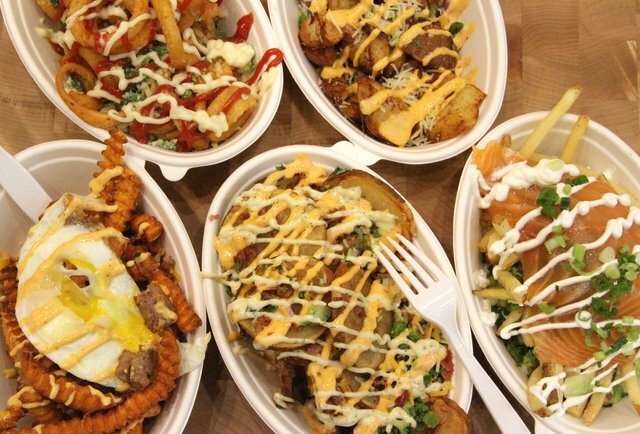 This fun and awesomely innovative build your own potato eatery on 6th Ave is a smash hit! And it’s the only restaurant in its class that’s chief focus is the potato, and its crazy array of sauces. First, you choose the type of potato you would like; Mashed Potato, Curly Fries, Tater Tots, Au Gratin, baked potato, to name a few. Then you load it up with “protein” such as steak, lox, bacon, chicken, shrimp, sausage, etc. Then you pick your toppings from the topping bar. They have over 15 toppings from brocoli to zucchini. 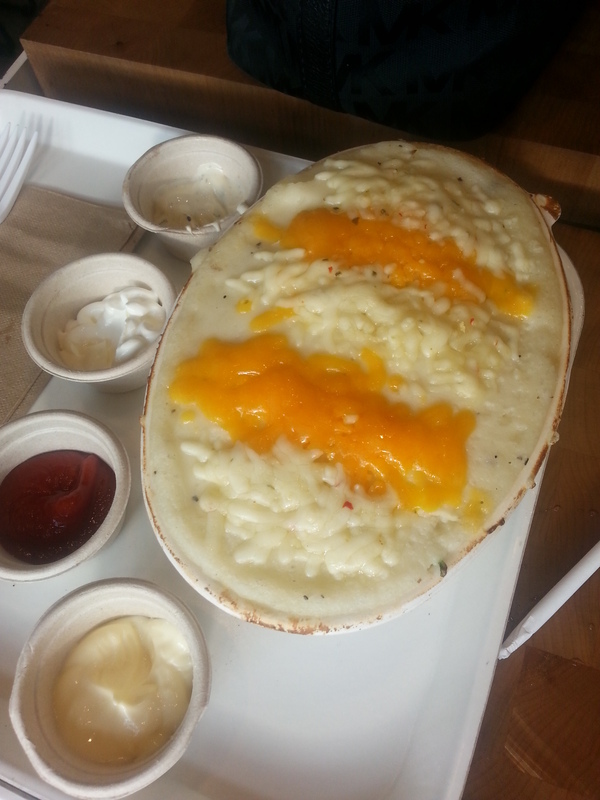 I ordered the Smash Hit which is one of their signature dishes and comes with the smashed potato, house salt and pepper, cheddar cheese, Asiago cheese, green onions, red onion, garlic, cilantro with roasted pepper. Oh, and I added Shrimp for the heck of it. Their signature meals start at 4 bucks which I think is a steal. Money well spent. You can’t go wrong with these. 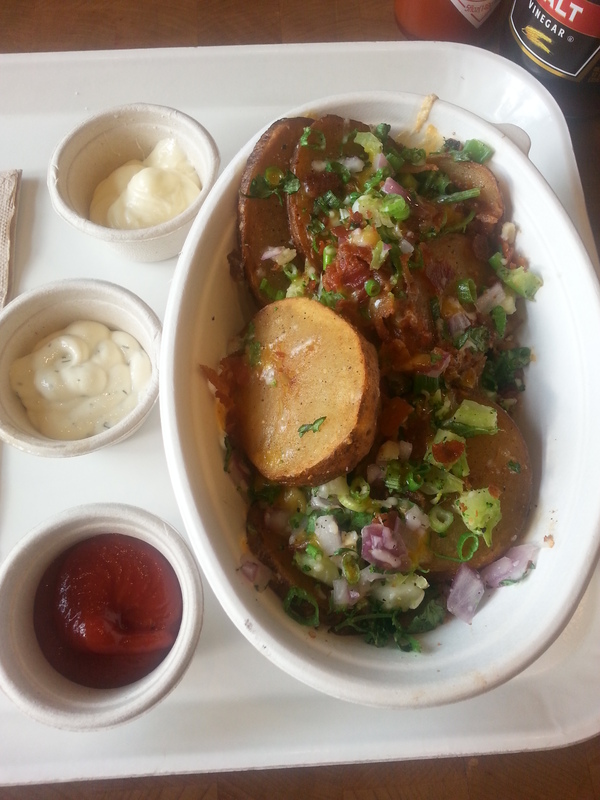 We also ordered a few tasty baked potatoes with the works…You can never have too many toppings. They have over 15 special sauces, from Garlic Aioli to Chipotle Ketchup, Truffle, Chili Pepper, Roasted Pepper, Ranch, Wasabi, Grainy Mustard, Chipotle Mayo, Savory Bacon, Curry etc. The possibilities are endless. 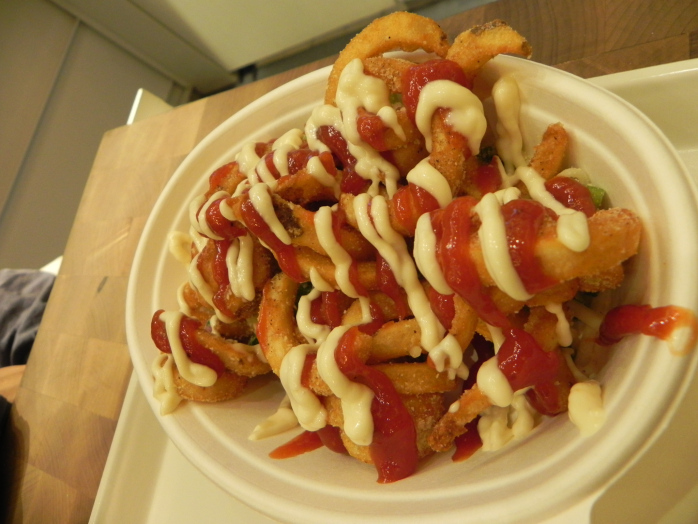 We also got the Curly Sue which is Curly Cut fries, House Salt and Pepper, Pepperjack Cheese, Parmesan Cheese, Jalapeño, Garlic, Green Onion, Chipotle Ketchup and Garlic Aioli. This was great and a little spicy. 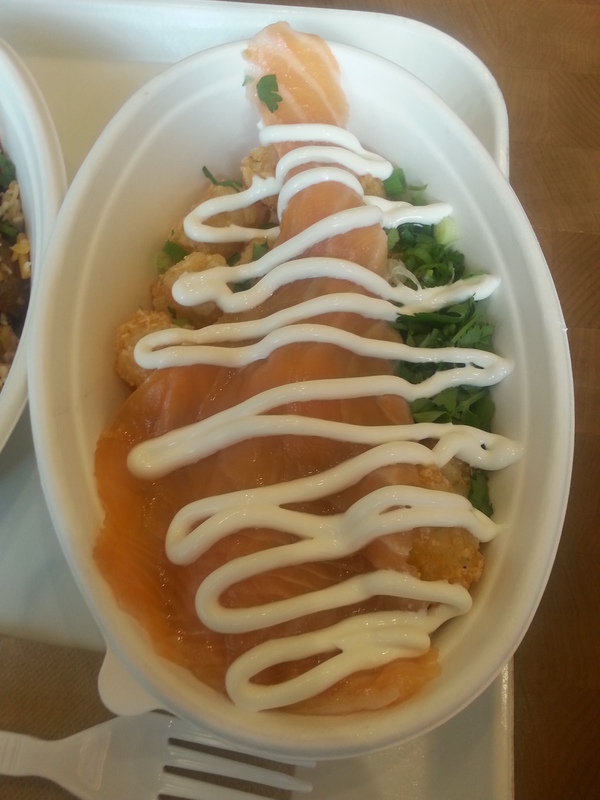 We got another signature dish called The Lower East Sider...I’ve never had Lox on top of Tater Tots with Cilantro and Sour Creme before. So I did. And it made me happy 🙂 I’ve already gone back for this dish twice. We got the shepherds pie which was a nice hearty treat. I don’t know anywhere else in the West Village that has this dish. 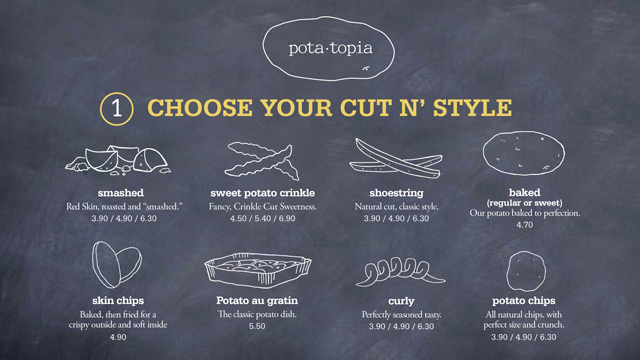 I give Potatopia an A+ for creativity and thinking outside of the box. They did a great job with the cool design of the store and its advertising. There are signs on the wall saying…Get Baked, Get Fried, and Get Smashed. This concept was created by owner and foodie entrepreneur Allen Dikker. Dikker came up with the unique idea of pairing potatoes with a variety of sauces and toppings to make everything from a snack to a hearty dinner. Also, this place is perfect for ordering a bunch of stuff, and sharing with friends. We welcome Potatopia with open arms and WE Love You! I love a potato! I’ve got to check this place out now. I’m not sure I would have before your review, so thanks.